"Wes Phoebus was great all the way through." This homeowner wanted to restore this beautiful home to its former glory by having a complete roof replacement. Our crew used Owens Corning Duration shingle in the color Estate Gray. The finished product gives the house a beautiful finish and adds striking curb appeal! Roof it Forward has completed another gorgeous roofing system in Carmel, Indiana. This system utilizes the Owens Corning Duration shingle in the color Quarry Gray. As you can see in the photos the finished system gives the home amazing curb appeal and changes the look of the home completely. Roof It Forward has completed another roof replacement in Westfield, Indiana. This home is utilizing the Owens Corning Duration shingle in the color Driftwood. This shingle is warranted for up to 130 Mph wind gusts. Please contact Roof It Forward for your next roofing project. Gutter board on front of house has pulled away and sagging. About 1/2 the front of house. Two story. New roof last year. Elderly parents need roof repaired. They live in Carmel. Help!! Have two areas on house that need siding repair. Also, do you provide pressure-washing services as well? Need roof replacement before we sell our house. Possible military discount? Not rich. Roof repair from the storm damage. Leaking damage to the inside also repair if possible. It's a 3 floor townhouse in West Clay. Roof It Forward replace my whole roof and gutters. It looks amazing and I would recommend to anyone looking to get similar work done. You won't regret it. Dan R. N. College Ave. In business since 2005, ARAC Roof It Forward has many years of experience offering high-quality roofing services to local residential and commercial customers. 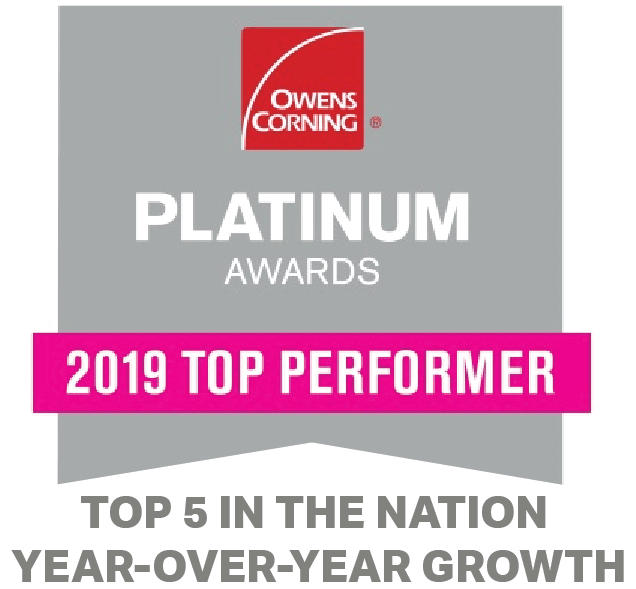 We are an Owens Corning Roofing Platinum Preferred Contractor, meaning we have access to the very best products in the roofing industry. On top of that, we ensure exceptional craftsmanship and only use durable materials for every job. Our mission at ARAC Roof It Forward is to help those in need by donating a portion of every dollar we earn to local charities through our Roof It Forward program. Your roof is what keeps your home protected from the elements, which is why it's essential to ensure it remains in great condition. There are a number of factors that can damage your roof and lessen its strength, even to the point where the protection of our home is compromised. At ARAC Roof It Forward we understand that a roof replacement is a big deal for any homeowner, which is why our expert team will be there for you to make the process as easy as possible. Our roof replacement services will ensure that your home has a tough and dependable roof that will look great and last for years to come. We offer several different types of roofing materials, so we are confident we will give you the roof you have been dreaming about! To learn more about roof repair cost contact us today! Get a FREE Roof Repair Estimate! If your home has faded and worn siding and you want your Westfield home to look fresh and new then contact ARAC Roof It Forward today for your siding installation and replacement needs. We can install vinyl siding on your home so you can have vibrant colors that will last decades that are easy to clean and can take a beating from the elements. We also install rigid foam insulation under the siding which will add to your Westfield home's comfort while saving on energy bills. Contact ARAC Roof It Forward today, your trusted Westfield, IN roofing & siding contractor! The lifetime shingle installed on this roof is the Duration. This shingle utilizes the Sure Nail Technology Strip for a 130 mph wind rating.The best shingle in its class. All Roof it Forward roofing systems come with matching drip edge and gutter apron, these are vital parts to your roofing system. Not only does Roof It Forward provide professional and quality installation, they also insure each project is built to current local and state building codes.